I took this B&W picture with my Minox spy camera Uncle Harry gave me. 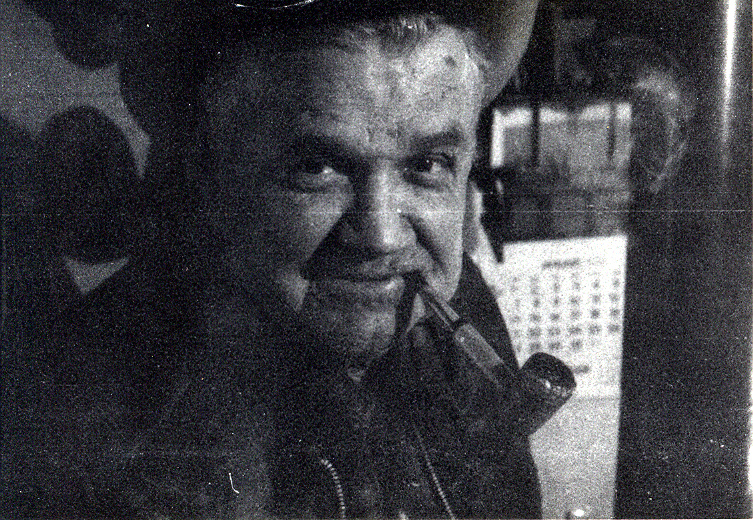 The graininess is caused by the high film speed and the incredibly small negative size, even smaller than a 110 Instamatic Camera's -- if you still remember those.This is a classic Grandpa shot, with that devilish glint in his eye and that great corncob pipe hanging from his mouth. Does he look like a character, or what? He was.